Mary-Ann here to share with you my take on June's ePlay Challenge: Fabric with Andiepants. Btw the deadline is June 30th! You could win a prize! I have to tell you that I not much of a sewer and don't have scraps of fabric hanging around. My mom does but she lives four hours away. So, I called my gal pal and asked her to scrounge up a handful of scraps that I might incorporate into my layout. I realize that you have seen some pretty serious fabric play this month, but I am going to bring it to you simple style. My style. Scrapbook style. I swear to you, there is fabric on this layout!! I used it as I would paper. Cut blocks, tucked them in, and applied a strip on the bottom. Nothing earth shattering but still fun and fabric adds a bit of texture to my layout. 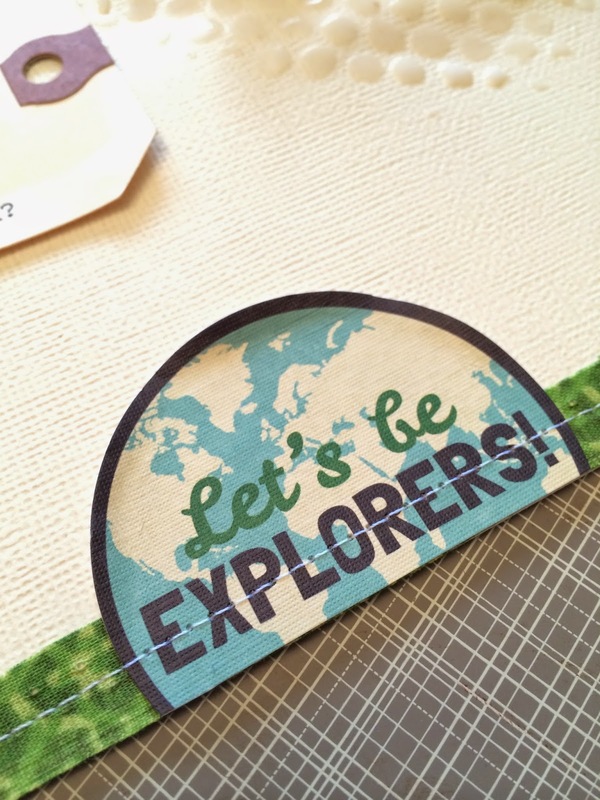 I hope you have been inspired to add fabric to a regular ole' scrapbooking layout. What a fun way to remember the thrill of a new bike Mary-Ann! Your design on this is wonderful with all the layers of paper and fabric! Great memories captured and FABULOUS embellishments, Mary Ann! Love this!